Finding a great product and sourcing it is just half the battle on Amazon. Once your product is live (and even way before then), you’ve got to start marketing on Amazon as well as off it to increase your sales. 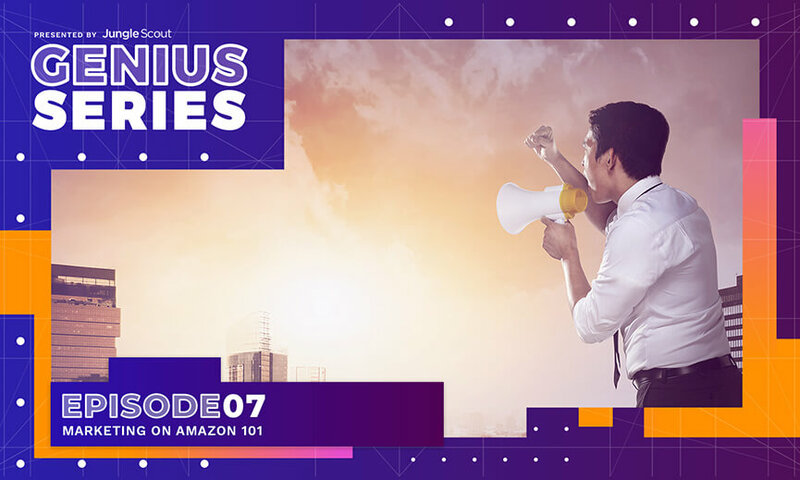 In this second portion of the Genius Series, we’ll cover the basics of marketing on Amazon and the things you need to know to sell more products. What is Marketing on Amazon? Marketing on Amazon is the the action of promoting and selling your Amazon private label products. This includes market research and advertising. For an Amazon product, you have multiple ways to market your Amazon product both on and off Amazon before and after launch. These ways include (but are not limited to) branding, positioning, product research/development, crowdfunding, social media, influencers, effective sales practices, Amazon PPC, Amazon promotions, product reviews, email lists, and upsells. Over the next month, this series will cover many of those aforementioned elements. Personally, I love constructive criticism. It gives me a chance to improve myself and offer better services to our audience. So user, this part of the series is for you (and you know, the other hundred thousand people reading it). Most of the techniques described over the next few weeks will be more advanced than in previous articles here on Jungle Scout. We take our community questions and suggestions very seriously here! For those of you who are still beginners, I’ll make note of the advanced stuff that’s more or less “optional.” Of course, doing a lot of the advanced practices will lead to increased sales, so keep that in mind for the future. There are innumerable marketing philosophies out there, but overall, the best marketing practices boil down to these 7 simple steps. 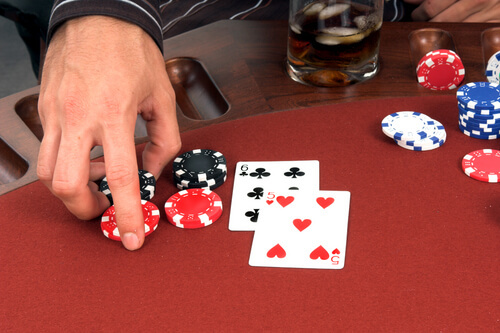 Double down on what works; cut the rest. Invade a niche, then expand outward. If you’re driving down a country road and see a brown cow you might turn your head the first time. But then as you keep going and passing dozens and dozens of brown cows, you’ll probably lose interest. Then suddenly there’s a purple cow standing in the pasture. Not only do you notice this anomaly, but you’ve actually stopped the car and got out to take a picture. You won’t forget that purple cow. 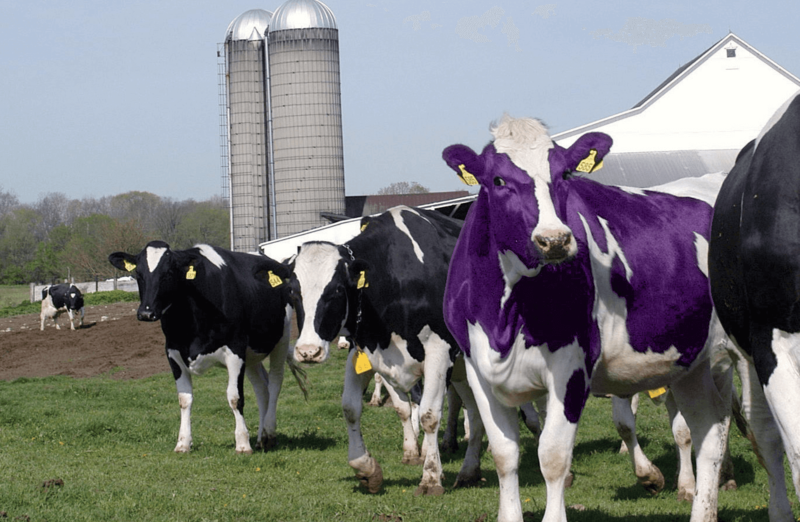 Translation: in a world of “brown cows”–products that everyone’s seen a hundred million times–be the “purple cow”, the one that stands out. Back in the early ’00s, a wine-shop owner saw opportunity with a little search engine that was just getting started (and had somehow survived the Dotcom Bubble burst) that not many others saw. That search engine had just started testing out sponsored ads on its platform. The wine store owner, seeing promise in this model, invested in ads for his website. Because he was one of the few people out there doing internet pay-per-click advertising, he was able to buy clicks for the keyword “wine” for just pennies on the dollar. That little search engine that was just getting started was Google. 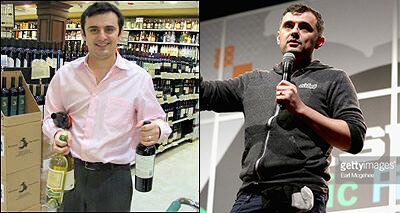 And that wine store owner was Gary Vaynerchuk, multi-million dollar investor and social media guru. Gary V saw the promise in Google long before others could. Needless to say, he dominated the wine niche and his wine store took off. Google wasn’t the only marketing platform Gary saw promise in. Twitter, Facebook, Snapchat, Instagram: these are all companies that Gary has invested in way before a lot of people had heard of them. Plus, he used them to build his name. To his millions of social media followers, Gary preaches first mover advantage, getting in as an early adopter on marketing platforms long before everyone else catches on. Another piece of advice I love from Gary V is the concept of “jab jab jab right hook.” Gary relates sales pitches to “knock out punches”, or right hooks. Content, customer service, and value are relegated to jabs. He believes that there’s too much focus on the knock-out punches, and not as much on what counts. 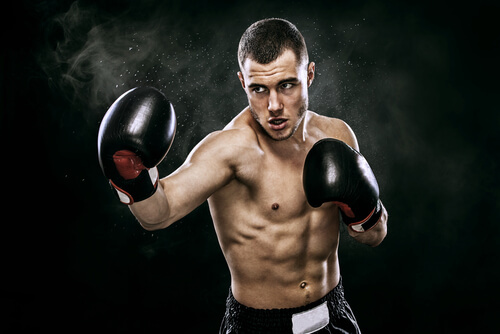 Armed with a fullproof knockout right hook, you don’t need as many jabs to win, right? Wrong. Wrong, wrong, wrong, wrong, wrong. We’re now living in the internet age. Therefore, everything we do is under constant scrutiny. Additionally, if you miss an opportunity with one of your products or marketing campaigns it won’t be long before one of your competitors comes in and fills the void. Therefore, it’s imperative that you constantly deliver tons of value. This can be within your product itself, utilizing a holistic product strategy, or simply by going above and beyond what’s necessary. No matter how hard I’ve tried over the years, I just can’t seem to make Facebook ads work for me. Perhaps I don’t know enough, or perhaps I’m using the wrong keywords. Whatever the reason, it’s a total cash sink for me. Meanwhile, I can build Instagram profiles into 5-figure follower accounts in less than 5 months. So why spend all my energy trying to make Facebook work when I can do Instagram for far less? Not every marketing platform will deliver the goods. Some that work well for others might stink for you, and those that others have had trouble with might be your golden goose. The trick is finding the things that do work for you and doubling down on those. But just as difficult is recognizing the things that don’t work for you and your marketing plan and cutting those out. And don’t forget to experiment! 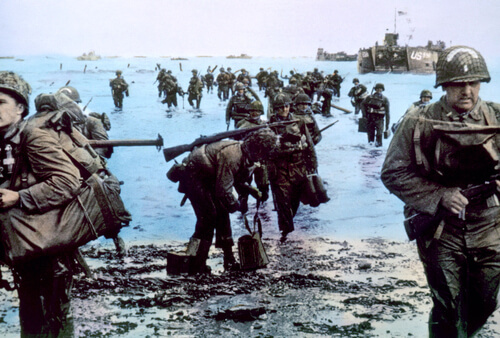 Geoffrey Moore’s classic Crossing the Chasm compares marketing and launching a product to the Allied’s invasion of Normandy. Godwin’s Law and over-the-top’ness aside, this is a pretty good analogy for launching a product and marketing on Amazon. Seize a strategic point in the market, force out your mainstream competitor, and keep spreading. If the Allies could do it, so can you! Speaking of great books, Eric Ries’ The Lean Startup is another book I recommend to those just starting out on Amazon. After all, nearly everything that goes into the Amazon process from the 4-easy production steps to the 4 marketing phases (which I discuss below) uses the lean startup method. Basically, the lean startup method is a way of creating more value using fewer resources. 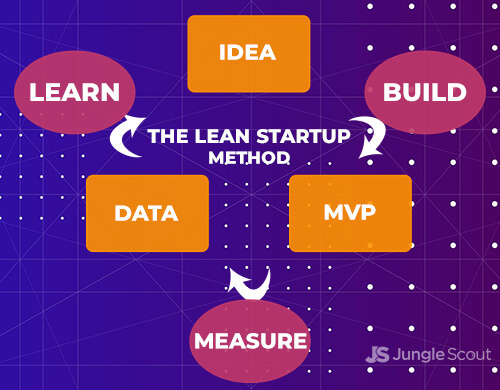 How the lean startup method works. Then, build a perfect prototype of that idea. This is often called the minimum viable product (MVP). After you have your perfect prototype and have tested it, measure the data. Finally, with this new data, make improvements. Then test the idea again. This not only works with your product (after all, you’re coming up with an idea, creating a small order to test it on Amazon, then using that data to build the brand outward), but also works with marketing practices. For example, say you want to test Facebook ads for your bamboo sticks product. So you get an idea for an ad with kids laughing around a campfire and a headline that reads “Remember a world before social media?” You launch it targeting a specific segment spending only $100 in ads over the next 7-days (this is your MVP). Once those seven day ends, you look at the data (click-through-rates, conversion rates, etc). Then, you make adjustments and relaunch your campaign. Russell Brunson is a marketing genius. After all, he took his CMS company, ClickFunnels, and turned it into a $30 million software machine in just two years. But he didn’t do it trying to copy the big guys. No, instead, Russell looked at what the people at his level were doing. Then, through good storytelling and marketing funnels (which we’ll discuss in the advanced portion of this series), he accelerated his company’s growth. 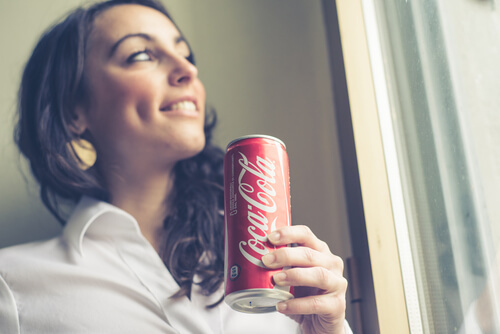 Heck, you might even be drinking a Coke while reading this. Coke can get away with ads like this… you’ve still got work to do. On the other hand, nobody’s heard of you. Sure, you might have a few fans, but until your product is a commonly used verb or noun (like “a coke” or “to google”) you need to assume that 99% of everyone who comes across your brand is top of funnel. We’re going to cover a lot of those methods in this series. What is a hockey stick chart? In business, a hockey stick chart is a line graph that shows profits and losses over time for a new business startup or product launch. Typically, the initial dip in the chart represents the costs spent to launch the product or business (overhead, manufacturing, R&D). Then, at that point where the line meets the profit/loss plane, that is the break even point. Finally, that’s (ideally) followed by growth and profits. Hockey stick charts and marketing on Amazon. Traditionally, the product launch cycle for Amazon has been the same. Research > Source > Launch > Market. For many with the traditional Amazon PL school of thought, marketing is a consideration only after the product has launched. That’s when it usually takes on the form of PPC advertising and/or promotional campaigns via Jump Send. There is usually 3-4 months worth of loss followed by gains in the 4th or 5th month once advertising costs mellow out and promotional campaigns have ended. 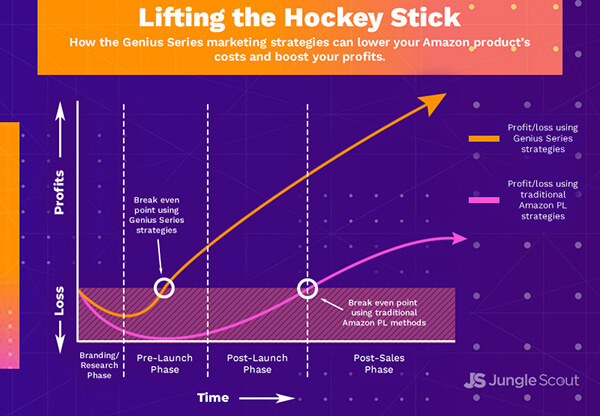 Lifting the hockey stick with the Genius Series marketing methods. As you can see, the costs were much less, the break even point came much sooner, and the profits were far greater. 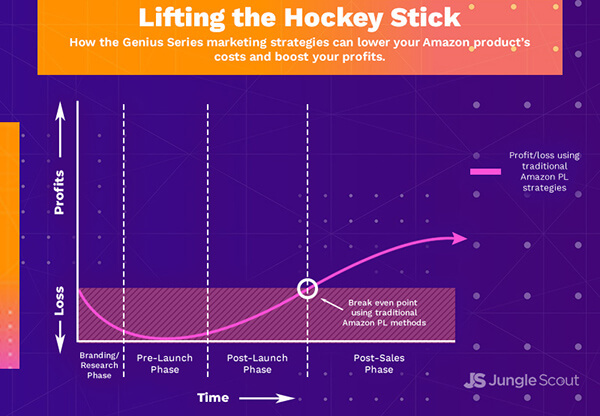 Over the next four weeks, we will teach you not only the traditional methods (the pink line above) for marketing on Amazon, but also some new methods we’re calling Genius Series strategies. These advanced marketing methods are optional, but as you can see in the graphs above, can make a huge difference in your costs and profits. But before we can start discussing strategies for marketing on Amazon, it’s probably a good idea that you understand the four phases of marketing on Amazon. Before, when we spoke about the 4 easy steps to sell on Amazon, we covered the basics. Product research, sourcing, launching, and marketing. Now we’re going to take the process a step further and add in the four phases of marketing on Amazon which interplay with the 4 easy steps. The Branding/Research Phase. This phase actually happens during product research and sourcing. Therefore, it’s smart to think about marketing on Amazon before you even pull the trigger on a product. The Pre-Launch Phase. Then, after you’ve picked out your product, you’ll need to start generating buzz about it. We’ll cover a few different ways you can do this including a special section on using Kickstarter not only as a way to raise funds but as a way to market your product. The Post-Launch Phase. Next, once your product is live on Amazon, this is where traditional marketing strategies step in. In addition to those, we’ll go over some of the best tips, tricks, tactics, and hacks for getting your product in front of even more customers on Amazon. The Post-Sale Phase. Finally, just because your product has sold on Amazon doesn’t mean that your job as a marketer is done. On the contrary. If you want to make a lot of money selling on Amazon, the sale is just the beginning. Over the next few weeks, we’ll break up the all-too-important first phase of marketing on Amazon, the branding/positioning phase, into different step-by-step guides. If it seems like a lot, don’t be overwhelmed. Some of it will be advanced and could potentially be skipped. We’ll let you know what’s a must-have and what’s a like-to-have. Many of these elements will be covered in the March 14th episode of the marketing on Amazon portion of the Genius Series. How to brand your product on Amazon. Determine who your ideal customer is. Consider the entire user experience. Decide how you want the product to look. How to position your product on Amazon. Devise a launch marketing strategy. How to create Amazon products that stand out. Read between the lines on Amazon’s SERP. Use reviews and feedback to find flaws to capitalize upon. Go the extra mile on product design/sourcing. Find ways to stand out both with your product and your marketing on Amazon. Once you know what your product is and you’re sure that it will be a winner, the next phase of marketing on Amazon is the pre-launch cycle where you’ll use crowdfunding, social media, and influencers to get the word out that your product is on the way. Just like the branding phase, much of the stuff is advanced, so optional. Feel free to use whatever methods make the most sense to you. Many of these elements will be covered in the March 28th episode of the marketing on Amazon portion of the Genius Series. How to run a successful Kickstarter campaign. Have a finished product ready. How to market Amazon products on social media. Build a community with Facebook. Break it down on Pinterest. Get attention with a blog. How to get influencers to promote your products. Reach out to influencers of all media types. Now that your product is live on Amazon, you’re going to want some sales, right? This is one of the easiest phases for marketing on Amazon, the all-too-famous post-launch phase. Many of the techniques found in this phase are “old school” methods that have been around for years and are still successful. Many of these elements will be covered in the March 21st episode of the marketing on Amazon portion of the Genius Series. How to sell successfully on Amazon. Track your sales and metrics. Split test copy, images, and prices. Think ahead with product research. How to improve Amazon product ranking. Launch your product with early buzz. Use Jump Send to give away promotions. Use Amazon PPC ad to get more sales and attract more notice. How to run Amazon PPC ads. Use Amazon’s automatically targeted ads. Ignore your ads for at least a week at a time (don’t “watch the pot boil”). Get rid of low-converting keywords. Build manually targeted ad campaigns. Do lots of keyword research outside of Amazon. Just because you’ve made a sale, doesn’t mean it’s time to stop marketing to your customer. There’s tons of opportunities to increase the lifetime value (LTV) of your customer. And many of those opportunities start as far back as the beginning when you’re still doing product research. And remember: the difference between a six-figure Amazon business and a seven (or eight or nine) figure Amazon business is knowing how to expand not just your marketing on Amazon but off Amazon as well. How to get Amazon product reviews. Put review requests in your packaging. Follow up your sales with “check in” emails using Jump Send. Offer excellent customer service on any issues that arise. How to start an email list off of Amazon. Offer something in your packaging that’s off Amazon. Learn and utilize marketing funnels. Deliver tons of value in your email campaigns. How to pick new products your customers will buy. Read your reviews to find out what’s missing. Pick vertically and horizontally integrated products. Offer products away through Amazon (with marketing funnels). Employ continuity programs to rapidly increase profits. Jungle Scout is always best if we talk about Amazon. Thank you sharing thorough and informative post. From my experience, The best way to increase sales on amazon, is through the use of customer reviews, create customer review option to include within your products shipment box to remind your customers to leave feedback on amazon after it is been received. A little light bed time reading and some great food for thought. All JS information is very useful and easy to understand and follow. It’s an amazing work tool, love it. Everything JungleScout puts out is AMAZING!!! This is great information and I am looking forward to the next series getting released soon! Thanks for sharing this content. Its great to have up to date information and guidance on crowdfunding and sales funnels.